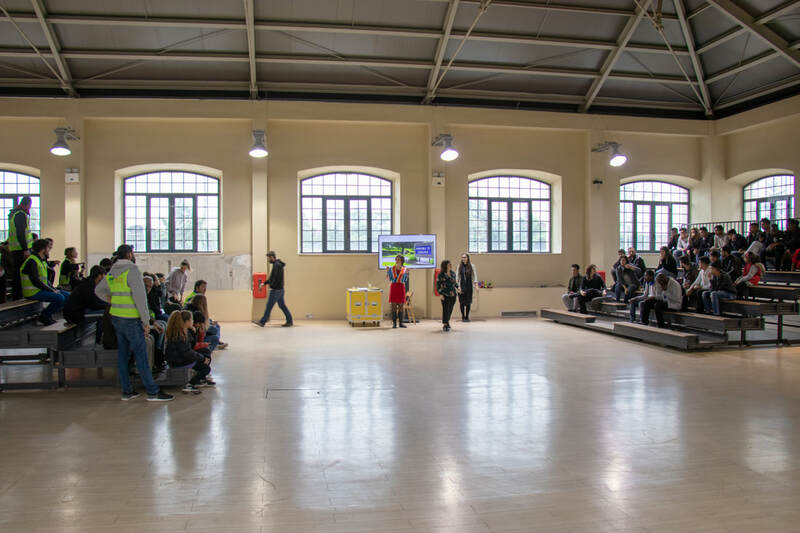 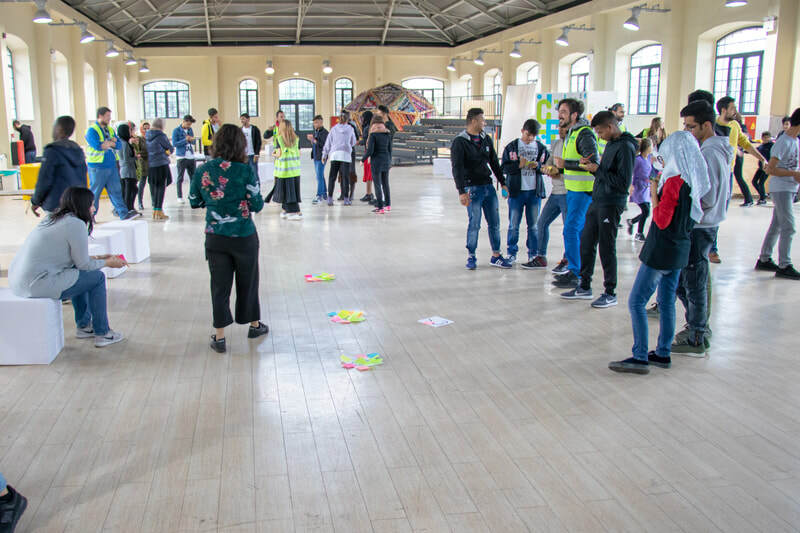 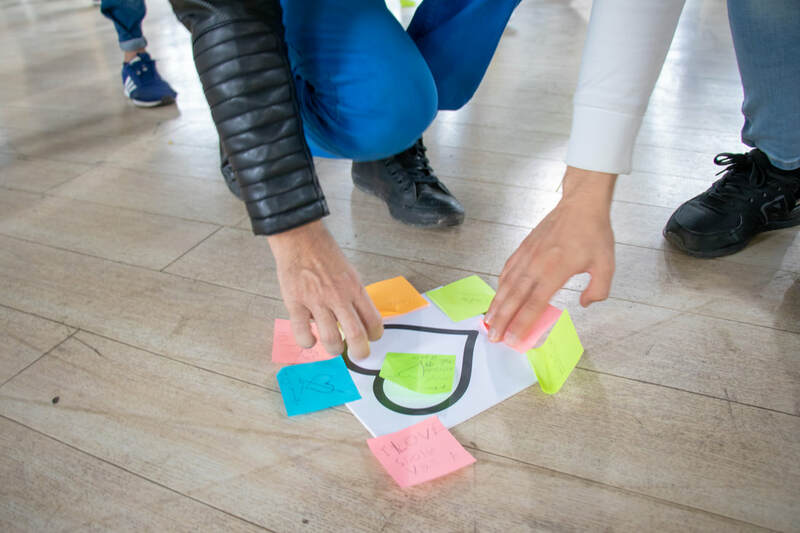 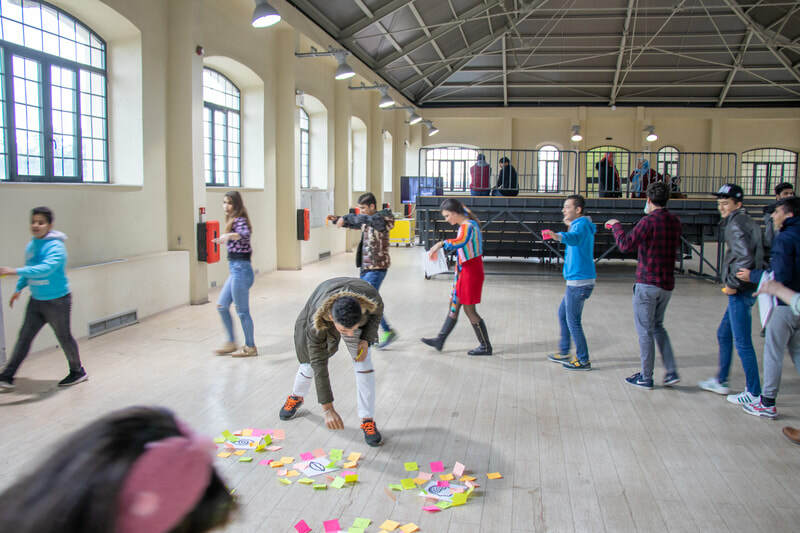 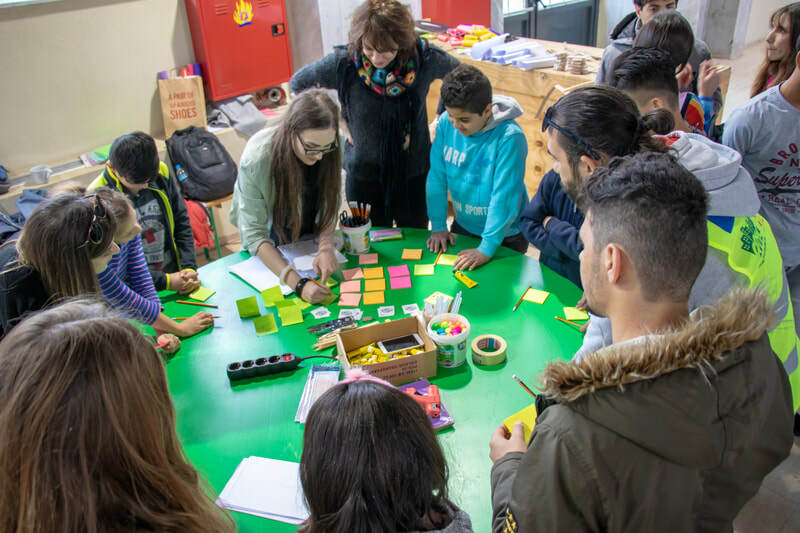 ​In the core of Freiraum, a project by Goethe-Institut, lay the fundamental values of inclusiveness, openness and generosity that the parallel educational program “YouthZone_Building Bridges: Thessaloniki-Carlisle” aims to endorse. 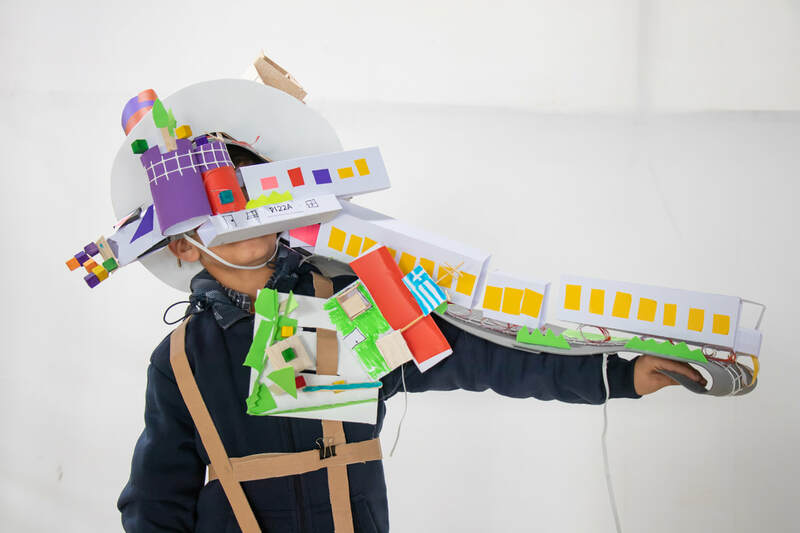 Experiencing the artificial and natural environment and thus shaping our unique perception of the world, is directly linked to our senses, activities and memories. 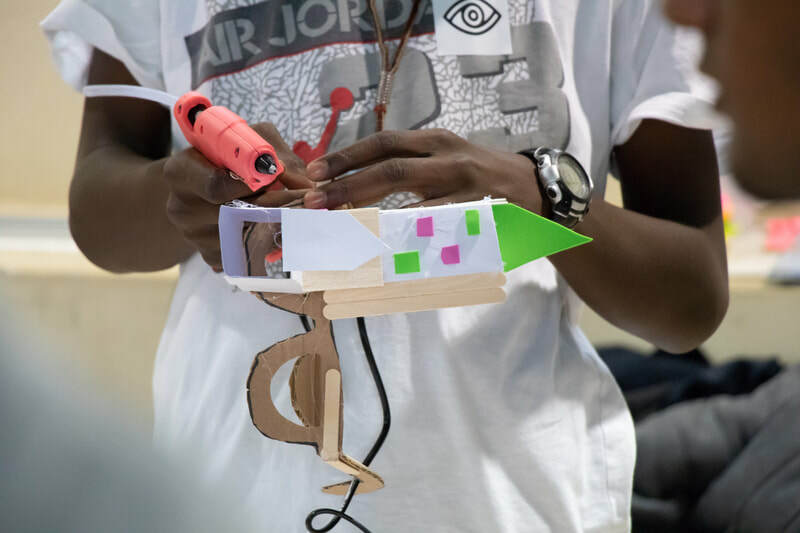 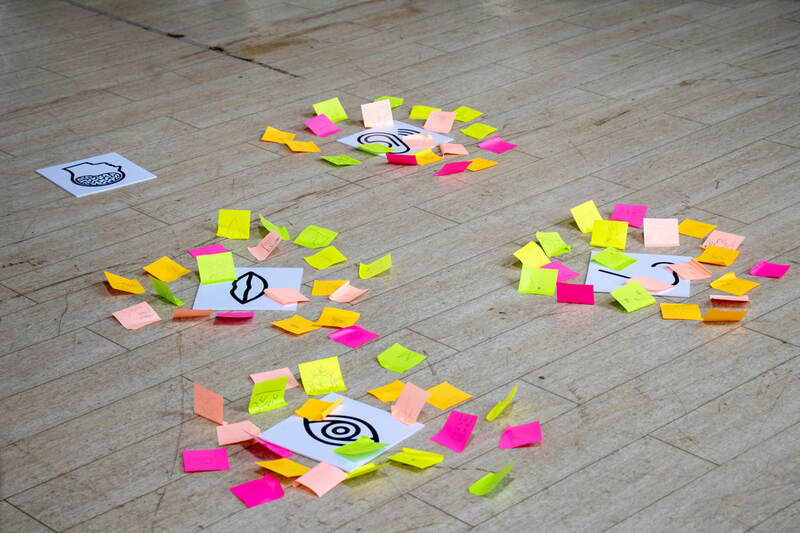 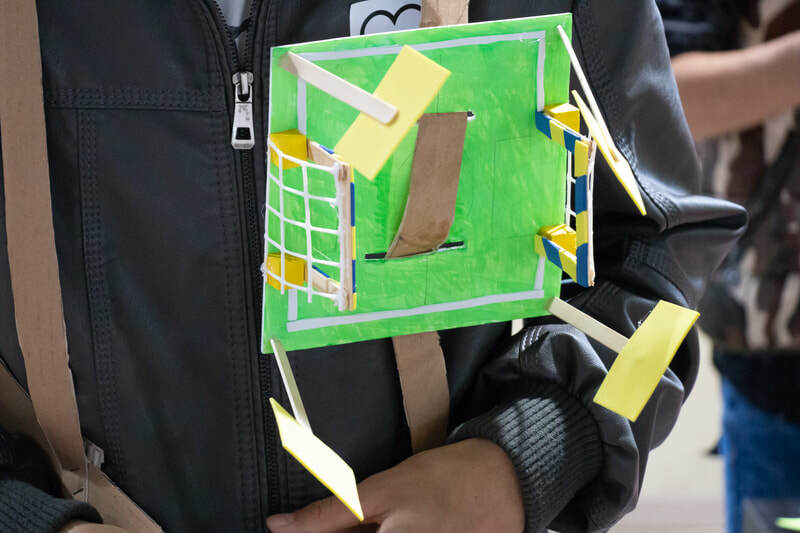 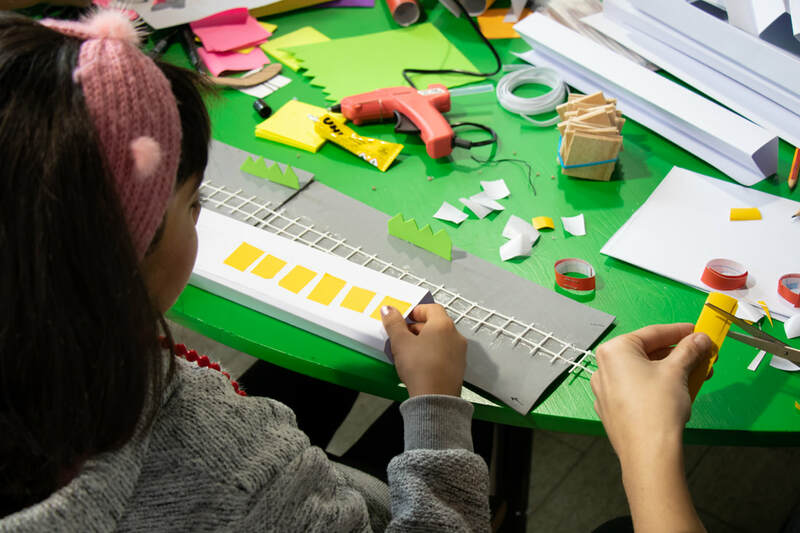 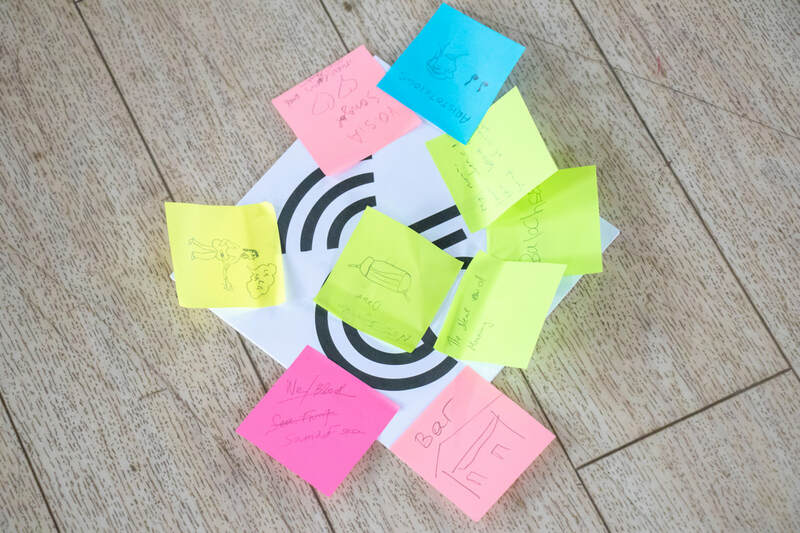 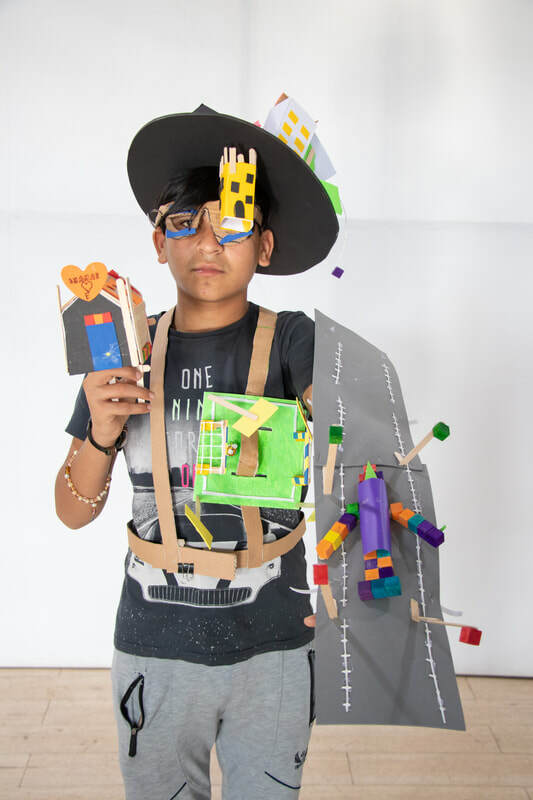 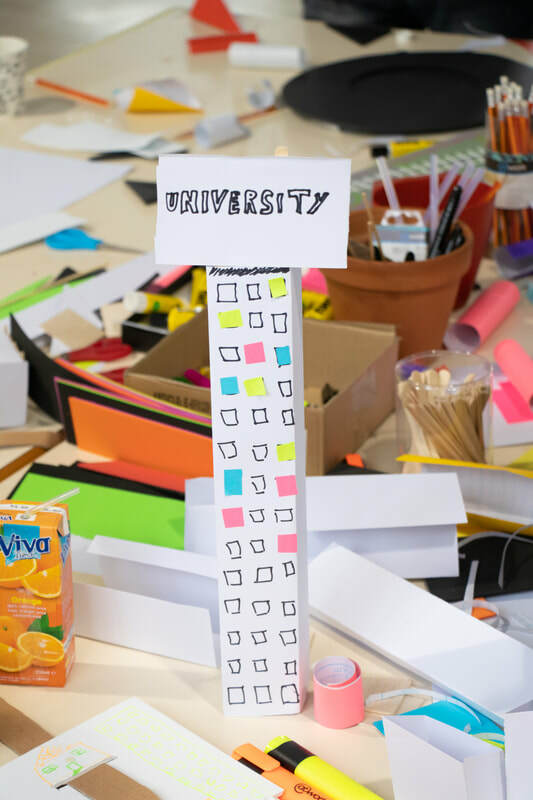 In this workshop, the young participants were invited to create a personalised 3D wearable city mind map, that reflects their own unique perception of an existing or imaginary city that they already are or wish to be part of. 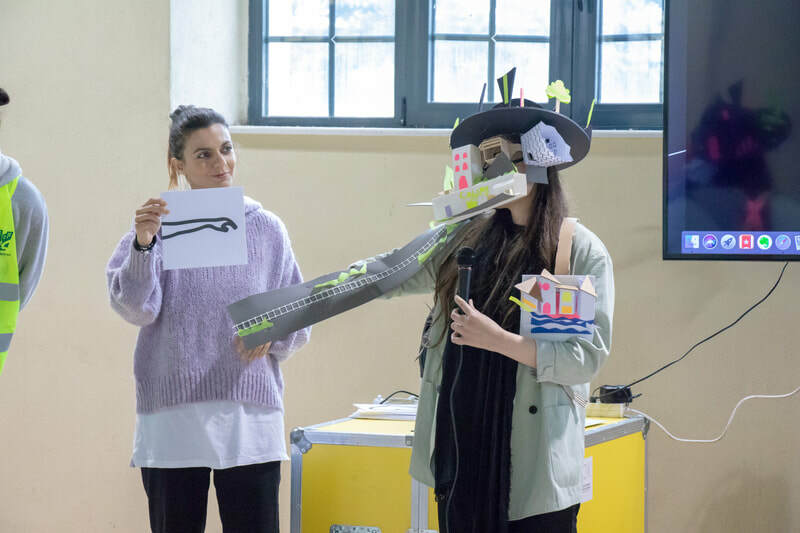 Focusing on a more diagrammatic and symbolic approach, their city’s form and function followed the corresponding form and function of their body parts and sensors. 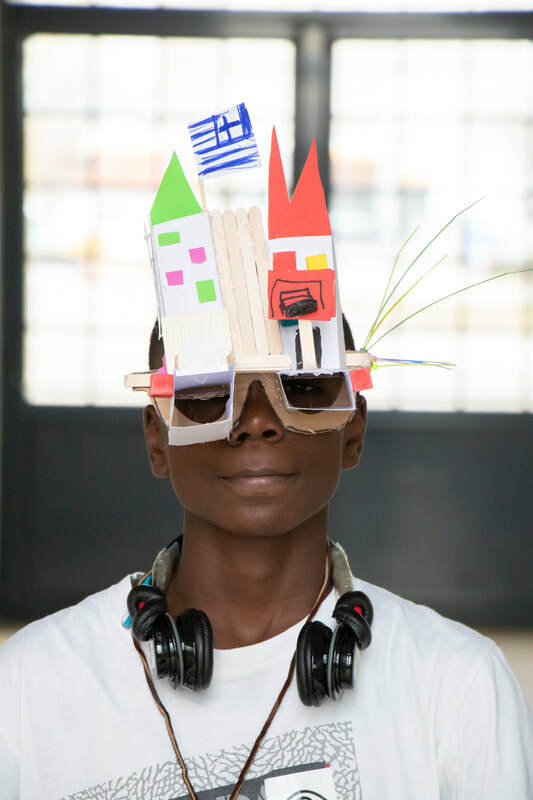 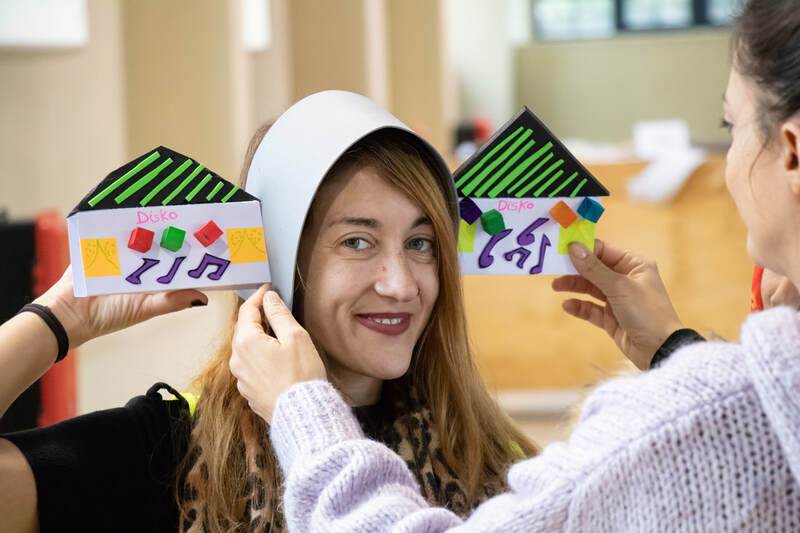 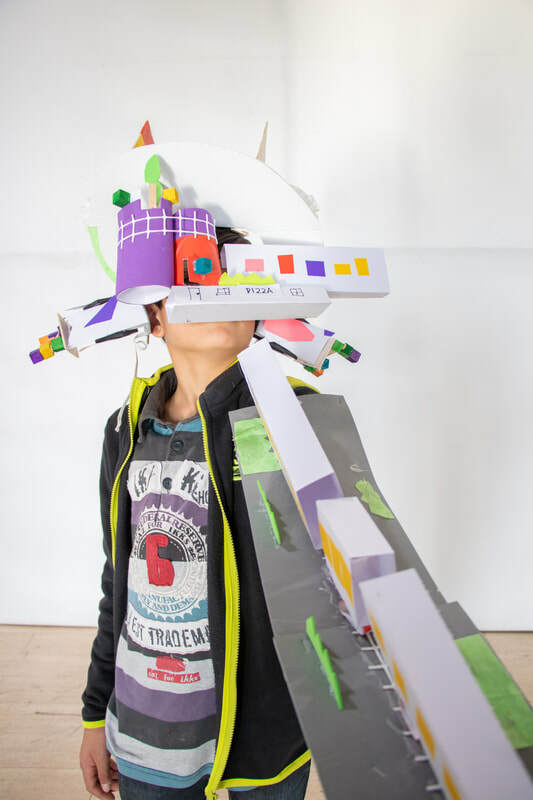 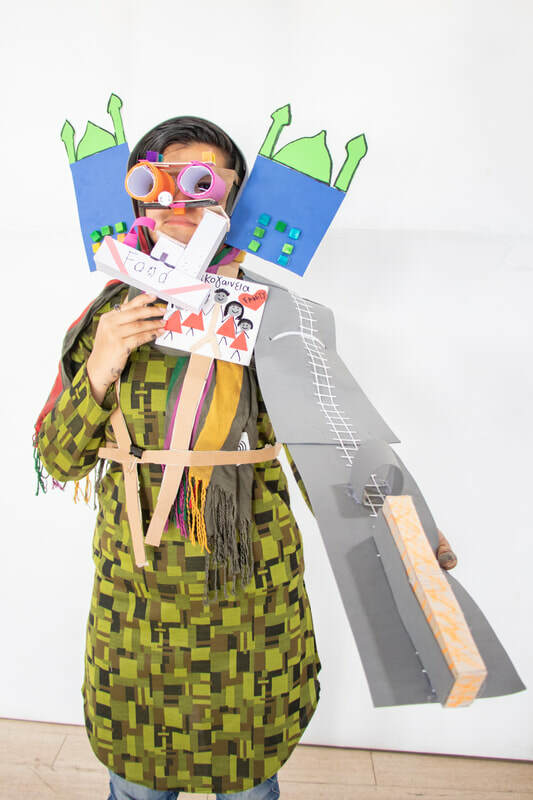 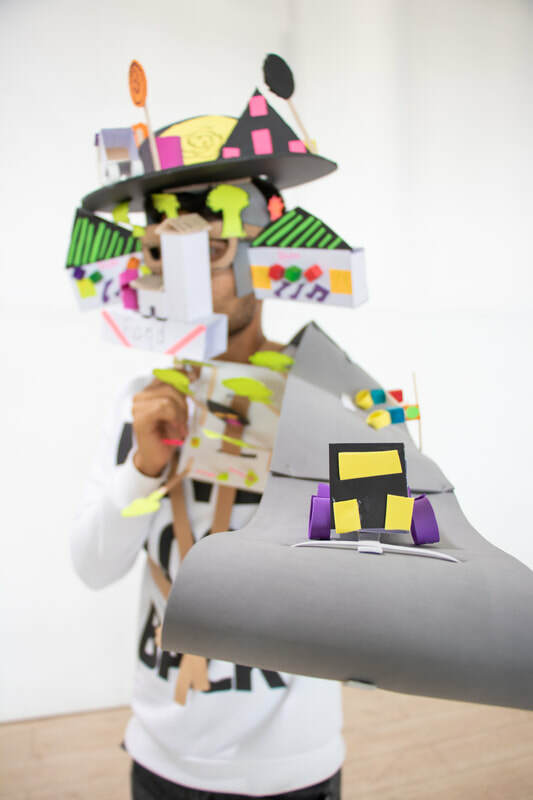 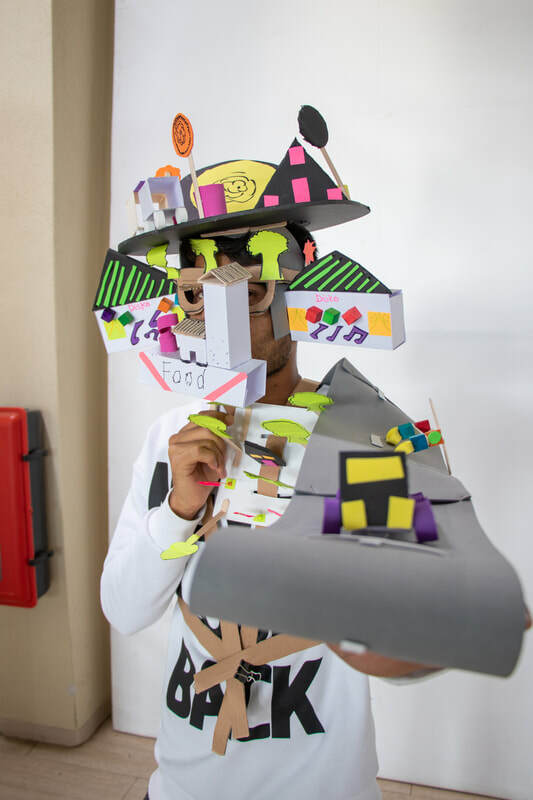 The buildings and scapes that the participants crafted, were placed on their face and body as accessories (eye glasses, hats, headphones, pockets, sleeves etc) so as to compose the final wearable architecture costume. 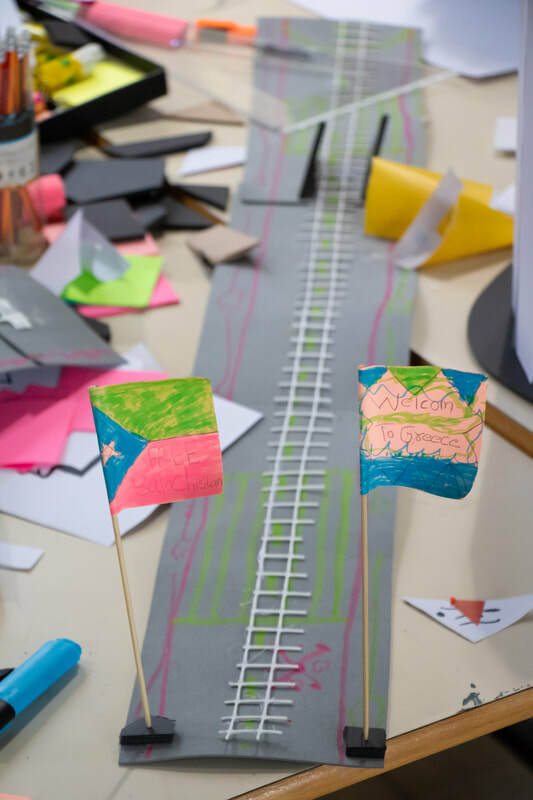 Mind map networks in several formations derived from the connection of the several elements/ accessories connected to each other through their transportation paths (streets, bridges, train rails, runways etc). 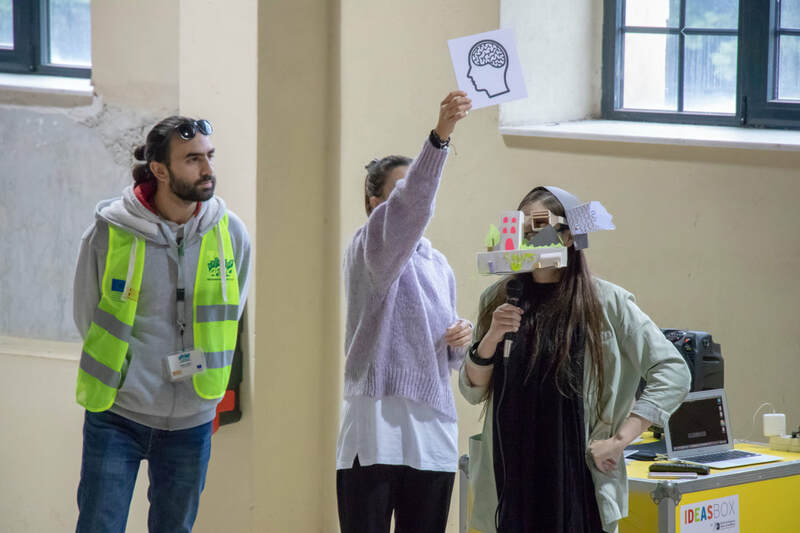 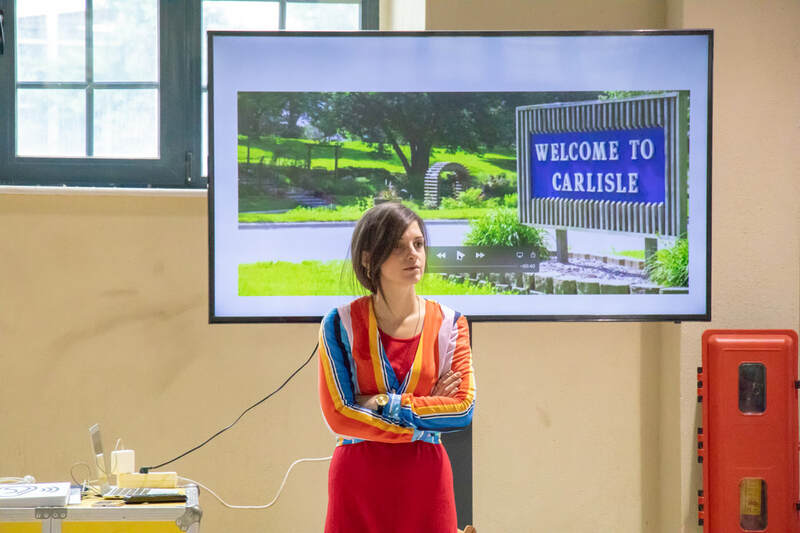 The final synthesis became a unique and dynamic 3D narration full of embedded links, meanings and symbolisms about the way we experience our cities and the connections - interactions we envision to develop. 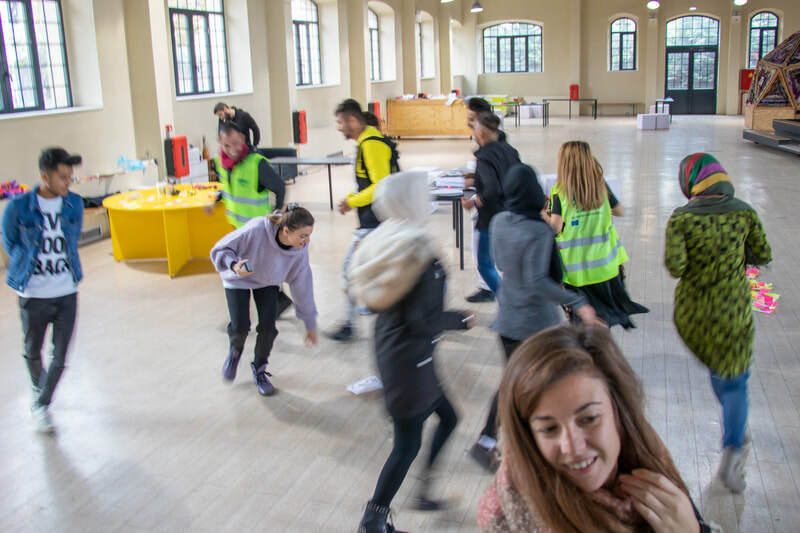 80 beneficiaries from the NGOs Arsis and Solidarity Now participated in the program. 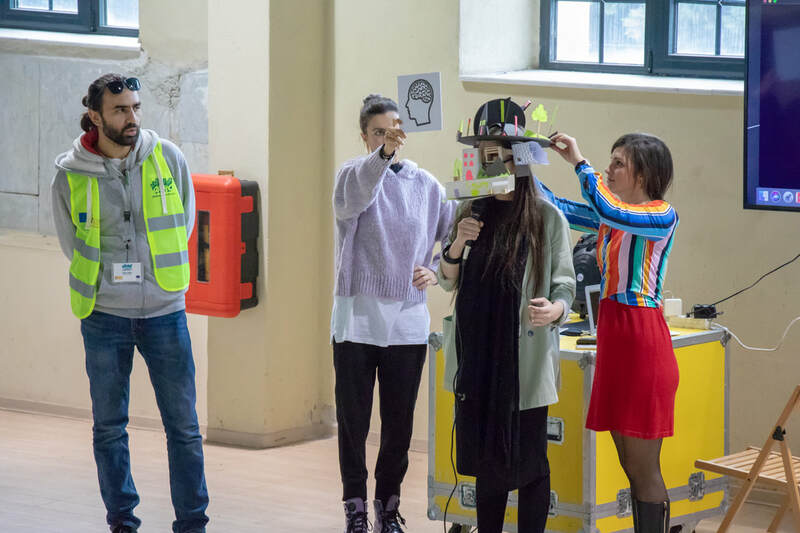 The parallel event “YouthZone_Building Bridges: Thessaloniki-Carlisle" was realised simultaneously in both cities on Saturday 24 of November 2018, in order for this process and the subsequent artistic outcomes to be communicated and exchanged between the two cities, while selected parts such as designs, accessories and costumes along with the printed posters will be presented on a Show in the form of an Exhibition in the Spring of 2019 at Berlin.